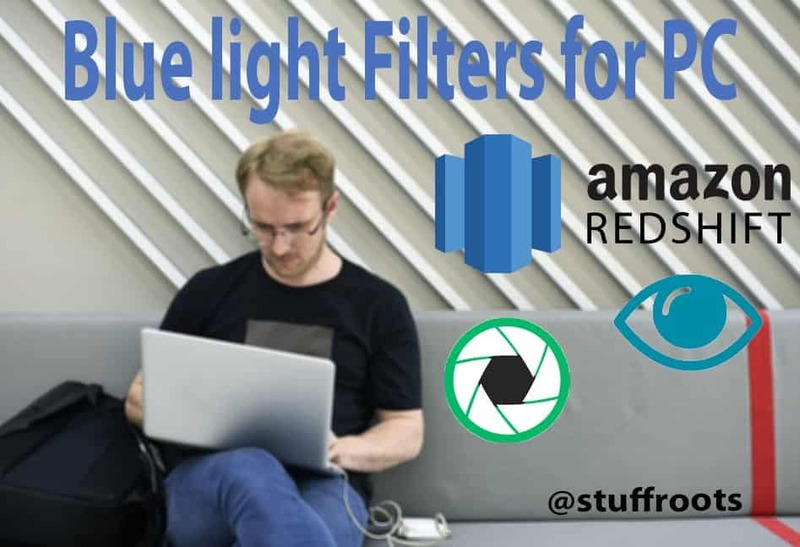 Best Blue Light Filters for PC Windows & Mac! Light is an essential element in our life. However, overuse of anything can cause trouble. Same happens when we let light invade our eyes for a long time. Natural sunlight has UV rays & blue light. We all are aware of UV rays & their side effects. People may use sunglasses to prevent the damage. 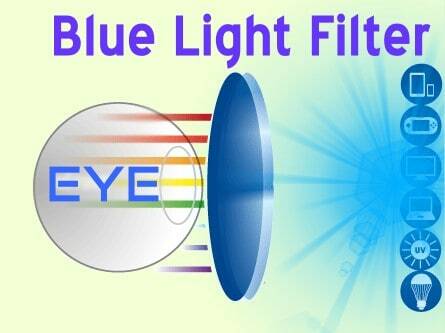 Blue light filters for PC is a part of the light spectrum but capable of reaching deeper into our eyes. Blue light invasion for a long time can cause damage to retina & development of age-related macular degeneration. So your eye needs to be protected at all cost. We daily spend a long time on our PC or Mobile. And, you should be concerned while blue light exposure. Electronic devices emit blue light, so avoid sitting a long time in front of it. But we understand your work where you cannot simply avoid these gadgets. Well, there’s a simple solution to it. Try Blue Light Filers for PC ! 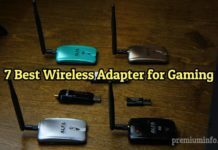 These applications can manage your PC’s screen light related consoles. It will regulate & reduce harmful things. Choosing a blue light filter is not a difficult task. To make your work simpler, we have shortlisted the best blue filters for PCs. Iris Mini is compatible for Windows, Mac & even Linux. 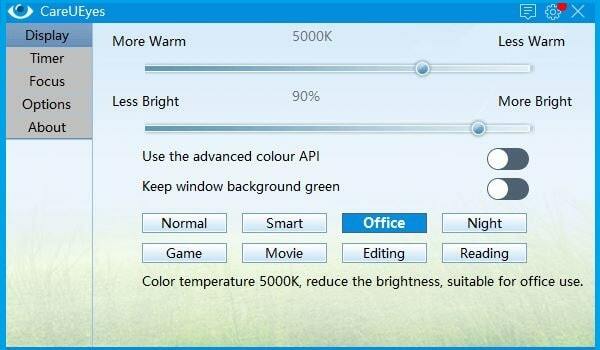 The application changes the color temperature of PC Display. Artificial lights are usually warmer but natural ones are having more blue. Older bulbs have a slightly different tone which is noticeable when the bulb is dim. Newer1 LED & CFL bulbs are better than older ones. Photographers might definitely understand light variations. 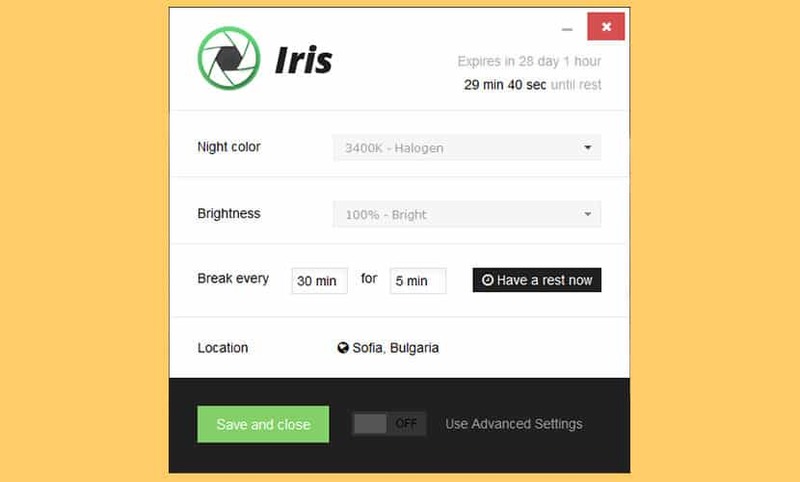 Iris is an application which can manage brightness without PWM Flickering. Thinking, is it costlier? Well no, it’s FREE! 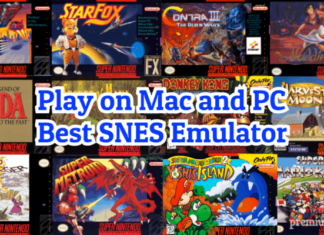 f.lux or flux is compatible with Windows, Mac, Linux, Android & iOS. The application manages display according to your background. Where you make the difference. If the sun has set, the app will make a display for indoor. Display changes in the morning. Might be clock makes the difference. Just set your time & where you live. It will manage your display accordingly. 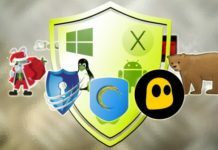 Another free application but compatible for Windows only. This app can eliminate glare on your screen while evening. Melatonin reduces if we get exposed to blue light for a long time. Tempering blue light might get this chemical balanced. Are you a morning wake-up freak or night owl, SunsetScreen is helpful for you. So Set the time & have the entire control of your display. It’s also absolutely free! Redshift is also based on the position of the sun. The app adjusts the color temperature according to the sun angle. You definitely find a difference in night & daytime. During midnight or twilight, the display changes to a smooth transition that is quite adaptive to the eye. Color temperature will match your lamp while night. Daytime the color temperature ranges between 5500K-6500K. At night 3000K-4000K. This app is also Free! An unofficial version of F.lux. The application is available in the Google Chrome Web Store. 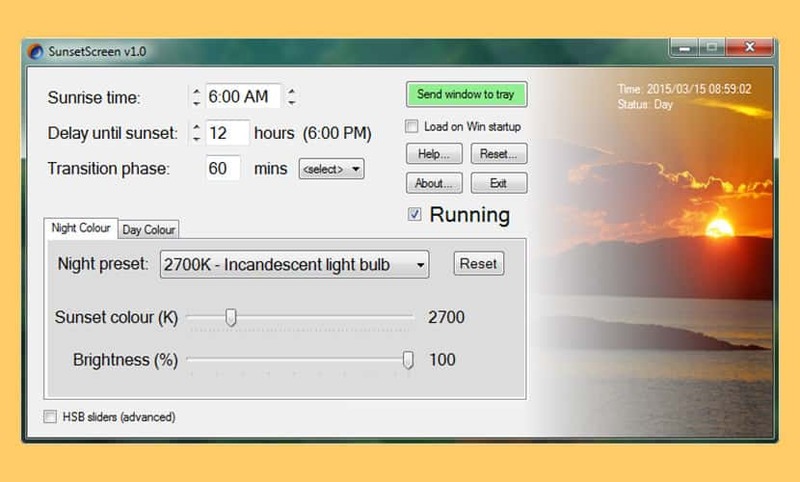 This application automatically changes the color temperature of your monitor in order to match the time. Monitors are usually set for daytime & they are unaware of your sleep cycle. But this application works according to you & uses the time to decide display. G.lux is an alternative to F.lux. It’s used worldwide because its free too. CareUEyes is another smart blue filter application. Furthermore the app has got everything that a person expects. Changes ranging from normal temperature to smart, office, night, reading etc. Using this app you will be assured of your eye safety. Integrated with 7 different predefined filters you can do several tasks for a long time without even stressing your eyes. 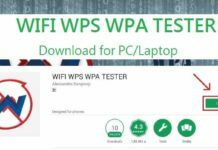 A paid software application for PC. However, you can only run this application on Windows 7 or above OS. But Mac users won’t be able to use it. The app adjusts screen color according to natural daylight. The blue light gradually increases while night time. Despite this feature the app costs around $5. Complete control of daytime and evening screen colours and the timing of the transition. 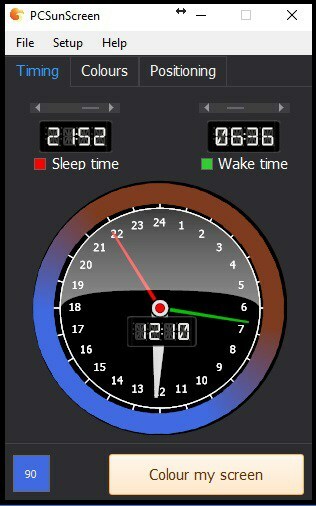 Set your own bed time and wake time and the screen colours will be adjusted automatically. Ideal for those on shift work or with unusual sleep patterns. Turn the screen filter on and off at the click of a button. Adjust the size of the colour filters to tint the whole screen or a portion of the screen. This allows you to have a small area of the screen untinted for colour-sensitive applications. These were few of the best 8 Blue Light Filters for PC. We haven’t ranked them but we have placed free ones first then paid ones. So it’s all up to you, what you want. Thus download & use anyone which suits you. Every filter is working & effective. Your selection should depend on your working amount of time. That’s all! STAY TUNED!